As an 8 year old child, I used to beg my parents to rent it for me again and again. 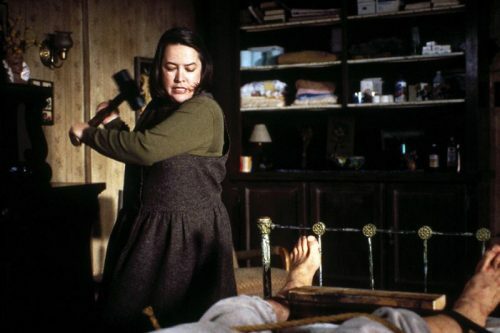 Kathy Bates’ performance is everything! I memorized all of her lines and used to perform scenes from Misery at recess. This film is classic suspense and psychological horror. It is a masterpiece and my favorite horror film of all time. I’m still waiting for “Misery’s Return!” (Laughs)! 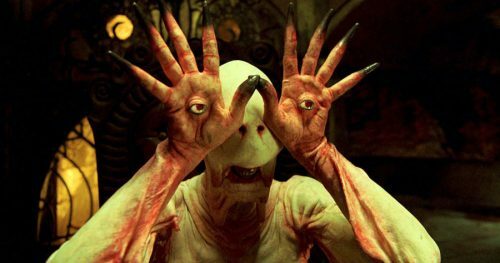 When I first saw Pan’s Labyrinth, I thought it was kid’s movie. While, its stars a child actor (who’s performance was excellent); this was not a kid’s movie at all. This is a horror film and probably Guillermo Del Toro at his best. Its nightmarish images are unsettling and stay with you long after the film is finished. Blending fantasy elements with the horror’s of an unsafe world (reality), made this film unforgettable. This is a true work of art, and scary tale. This film made me feel insanely claustrophobic and at times I couldn’t breathe. Spelunking (cave exploration), has claimed hundreds of lives. The premise alone, is scary enough for this film to thrive, but mix in, unknown entities in tight spaces… this is the stuff that could actually happen in- and that’s scary as hell. This is the movie I wanna make one day! 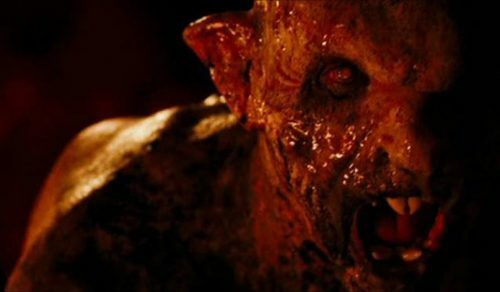 Filmed in 2010, it takes place in the 1980s, and pays homage to the satanic cult “panic” films of that era. Ti West, you’re a genius. This film is untouchable and will withstand the test of time. I highly recommend any horror fan to watch this creepy movie. Beautifully executed. “All of them witches.” I have an affinity for the classic satanic cult stories, and I’m willing to guess many horror fans would also add Rosemary’s Baby to their top 8 list! I love this film! And that musical score… is haunting. 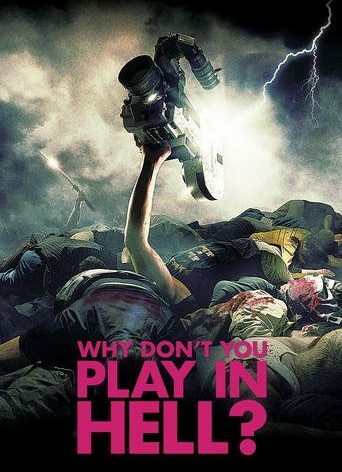 If you are a true fan of Sarah Michelle Gellar (Buffy), you would know that this was her first lead role in a horror film, after the end of the long running series “Buffy The Vampire Slayer” This film made me want to go to Tokyo, and experience haunted houses in Japan. 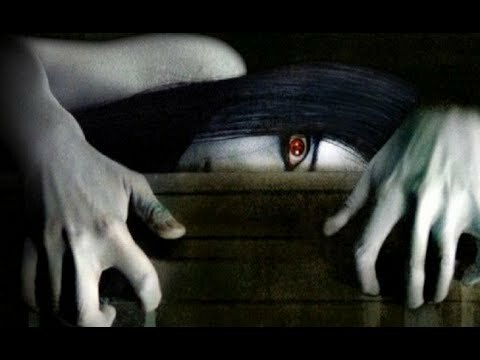 In my opinion, “The Grudge” is a great example of Japanese horror made for an American audience, done right! 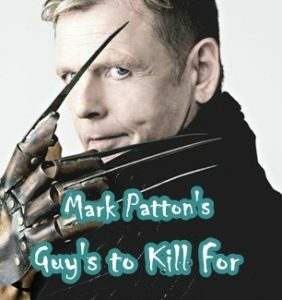 Word of caution: Please just stick to the first one in the trilogy- you’ll thank me for it later (Laughs). Right now, you can see me in “Ugly Sweater Party” and “Lilith” now available on Amazon Prime Video. I can’t wait to share some details with GrueMonkey about the scary projects I’m currently filming! Y’all stay tuned and follow Gruemonkey on facebook and twitter.